The causes of hypertension are divided into cardiovascular causes,drug causes, endocrine causes and renal causes as well as other causes. The cardiovascular cause of hypertension is coarctation of the aorta. Drugs which cause hypertension are nebulizer salbutamol ( sympathetomimetics).liqourice ( mineralocorticoids), tyramine, monoamine oxidase inhibitor, glucocorticoids ( corticosteroids) and estrogen containing oral contraceptive pills. The endocrine causes of hypertension are acromegaly, phaeochromocytoma, Conn’s syndrome and Cushing’s syndrome. The renal causes of hypertension are systemic sclerosis ( connective tissue disorder ), polycystic kidney disease, chronic pyelonephritis, renal artery stenosis, diabetic neuropathy and glomerulonephritis( renal parenchyma disease). Pre-eclampsia or eclampsia during pregnancy may also cause hypertension. 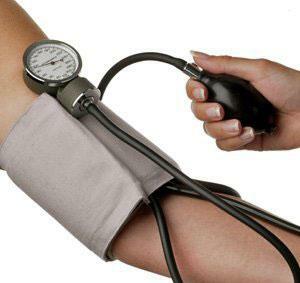 In some cases, the patient may suffer from essential hypertension where the causes remain unknown. What is hypertension? Hypertension is elevation of the blood pressure. Hypertensive patient usually present with sustained elevation in blood pressure to more than 140/90 mmHg on three or more measurement for at least a week apart. Essential hypertension patient remain asymptomatic. However, secondary hypertensive patient may complain of underlying disorders. In acromegaly, the patient may present with pains in the joint, weakness of the muscle, deepening of the voice, galactorrhea and headache as well as increasing sizes of the hands and cranium ( rings and hat no longer fit ). Patient who suffer from phaechromocytoma may complain of paroxysm of headache, flushing, palpitation and sweating as well as severe attack of or sustained hypertension. Polyuria ( impairment of urine concentrating ability ) , fatigue due to hypokalemia and weakness of the muscle are commonly associated with Conn’s syndrome. Patient with Cushing’s syndrome may experience depression, back pain, muscle weakness, abdominal striae, ache, hair growth and gain in weight. Nephritic syndrome is typically present with acute illness which consists of edema, oliguria, hematuria, malaise and fatigue. Hypertension is associated with acute nephritis syndrome. Chronic pyelonephritis is present with rigor, pain in the loin, pyrexia, recurrent urinary tract infection, prolonged enuresis and history of childhood urinary tract infection. A complete drug screening is required to rule out drug induced hypertension. On examination, acromegaly patient may present with large nose, prominent supraorbital ridges, protruding jaw, interdental separation, large tongue, feet, hand and thick greasy skin. Bitemporal hemianopia may present due to compression of the optic chiasm by pituitary adenoma. Cushing’s syndrome is presented with proximal muscle weakness, kyphosis, striae, bruising, moon like facies, acne, bitemporal hemianopia and truncal obesity. Bilateral ballotable masses may be palpable on abdomen examination due to enlarged polycystic kidney. Renal artery stenosis is presented with audible bruit. Coarctation of aorta may present with wide discrepancy of the blood pressure measured that exist between arms and leg. On auscultation, a systolic bruit is heard on the fourth left posterior intercostal space. Femoral and radial arteries palpation may also present. Bruits are heard along the collateral vessel of the scapula, chest wall and axilla. Radiofemoral delay is also common. The investigation require may include urea and electrolytes, urinalysis, serum lipid, blood glucose, ECG, cardiac catheterization, MRA, renal angiography, ultrasound of the abdomen, pregnancy test, renal biopsy, plasma renin and aldosterone, oral glucose tolerance test, low dose dexamethasone suppression test, 24 hour urinary free cortisol, urinary catecholamines, metanephrine and vanillylmandelic acid, plasm catecholamines and autoantibodies. In urea and electrolytes studies, renal failure is associated with raised creatinine and urea. Conn’s syndrome due to hyperaldosteronism may present with low potassium level. Urinalysis may include urine microscopy to confirm the present of cast or red blood cell as well as dipstick for protein and blood in the urine. Serum lipid is useful for screening the risk factors of atherosclerosis which is useful for prevention of future episodes of ischemic heart disease or cerebrovascular disease. Condition such as phaeochromocytoma , acromegaly, Cushing’s syndrome, nephropathy, renal vascular disease and atherosclerosis are associated with diabetes. In this case, blood glucose level is important. 12 lead ECG is important to screen for complication of hypertension such as left ventricular hypertrophy. Coarctation of the aorta is assessed by cardiac catheterization. MRA is useful for detection of renal artery stenosis as it doesn’t require the administration of nephrotoxic radio contrast. Renal biopsy is performed to identify the renal causes of hypertension. Besides MRA, renal angiography is also useful in detecting renal artery stenosis. Ultrasound of the abdomen may reveal enlarged polycystic kidney disease. Renal artery stenosis can be scanned with duplex doppler. Pregnancy need to be confirmed as pre- eclampsia or eclampsia may lead to hypertension. Plasma renin and aldosterone level are important . Low level of plasma renin and hypersecretion of aldosterone may confirm the autonomous secretion in Conn’s syndrome. Oral glucose tolerance test is performed and acromegaly is confirmed with failure to suppress serum growth hormone. Cushing’s syndrome is confirmed with failure to suppress cortisol while performing low dose of dexamethasone suppression test. Excess cortisol that present in Cushing ‘s syndrome can be detected with 24 hour urinary free cortisol. In phaeochromocytoma, there will be an elevation of vanillylmandelic acid, metanephrines and urinary catecholamines. Plasma catecholamine is also elevated in phaeochromocytoma . Autoantibodies detection such as ANCA and anti - GBM are positive for glomerulonephritis while ANA is positive for connective tissue disorder.